We were happy to clean up a new home purchase for our friends in Kihei. Their home needed to be cleaned from years of dust, so we pressure washed the driveway and house all the way around, including the tiles, and then went through with a fine toothed comb to clean all of the windows inside and out. We even cleaned the screens on all of the windows in the home. 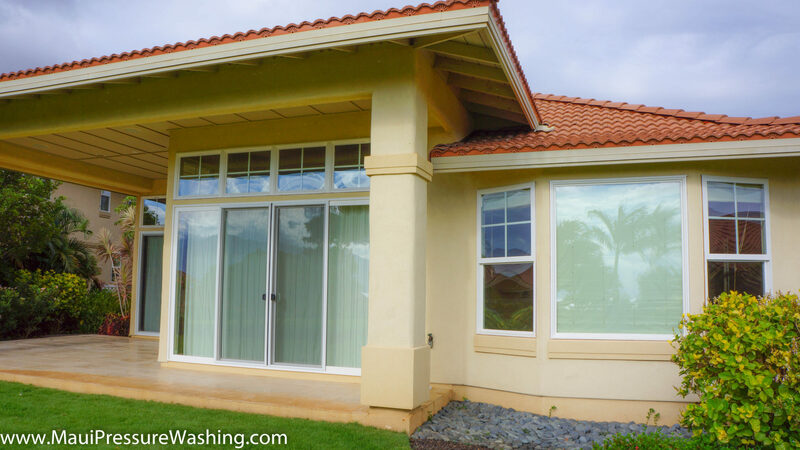 Our Kihei Window Cleaning services are almost always more affordable than our competitors, and we do an excellent job. Maui Pressure Washing offers a variety of Kihei Pressure Washing services so call (808) 463-7166 to experience all that we have to offer. Hawaii Driveway Cleaning, Maui Window Cleaning, Tile Cleaning Maui. Bookmark.